Welcome! 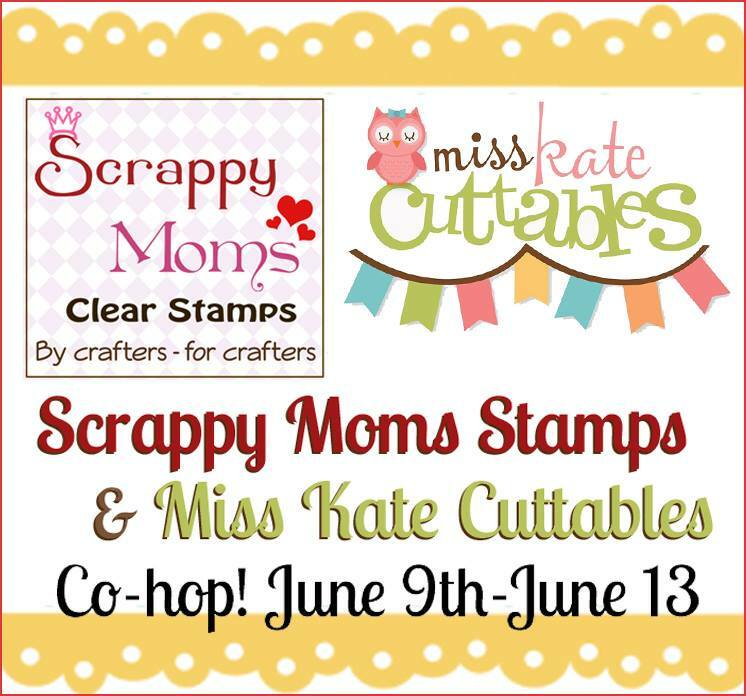 Scrappy Mom Stamps and Miss Kate's Cuttables are teaming up for a fun hop this week and we have giveaways each day and a chance to win a set of stamps at the end of the week! Head on over to Miss Kate Cuttables and Scrappy Moms Stamps to read all the details! You should have arrived here from Bonnie's blog! 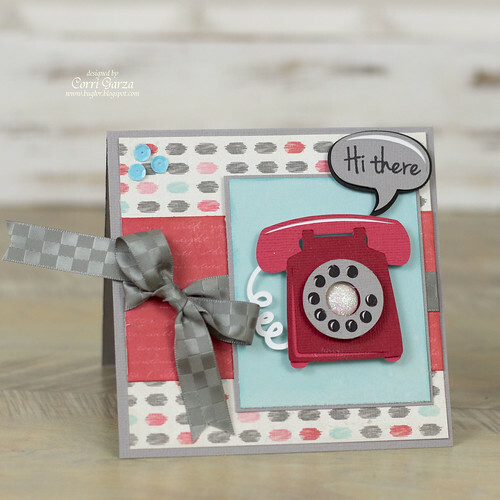 I used this adorable telephone and a sentiment from the Just Sayin' set from Scrappy Mom Stamps. This paper is from the Echo Park - Head over Heels Collection. Your next stop is Jenny! Thanks so much for stopping by! Love the colors you used to design this card with. Also a kind reminder to call those loved ones. TFS! Like the vintage looking telephone. I had one of those telephones in our house when I was growing up. The bow complements the colors. So cute. I love that red phone. Very cute. Love the telephone and the speech bubble sentiment. I am a new follower. Love your card. Really cute card and very creative with a perfect sentiment. I love this telephone card! Adorable! I wonder if anyone remembers what a "real" phone looks like anymore? This card is so wonderful! You have such an amazing talent for papercrafting! so cute! Love the retro phone! Love your sweet card, The layered phone and bubble are great. LOVE the phone! What a cute card great color choices too. I love your phone card. So simple yet so beautiful!!!! Love all of the "old fashioned" phones that people are using now. Thanks for sharing!!!!! Your card is so darling gosh you sure created a neat telephone scene. Super creative job.